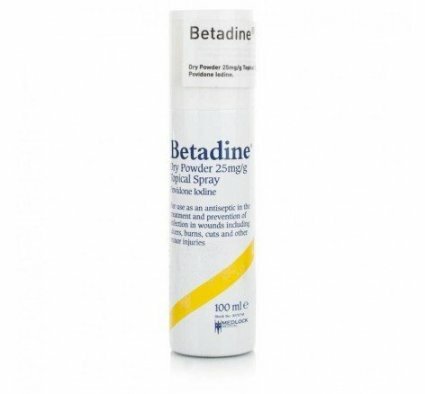 Betadine Dry Powder Antiseptic Spray is ideal for cleaning minor cuts & grazes. Its key ingredient is Povidine Iodine, which for many years has been used to prevent & treat infection. Please note there is a manufacturing delay on this product, give us a call on 01344 283888 for more information. The spray is easy to use & great for getting full coverage, especially in tricky to reach areas.